To provide the highest standard of pharmaceutical care to our patients and to collaborate with other health care providers to make sure that the needs of patients are not only met but exceeded. Located conveniently downtown inside the David Braley Health Science Centre. SHINGRIX™ is now available at the McMaster Health Campus Pharmacy. It’s the most effective vaccine indicated to help prevent shingles in individuals 50 years of age or older. SHINGRIX™ is given as 2 injections, 2 to 6 months apart and works by boosting your immune system to help protect you from shingles. Talk to your doctor or healthcare professional today. 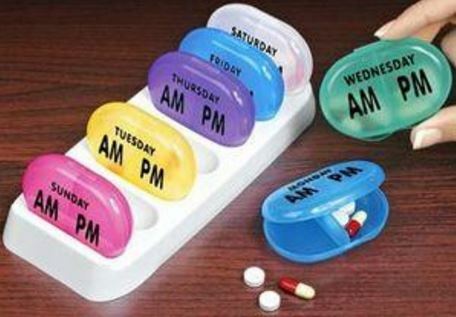 Having trouble managing your medications? We can help! Click to find out about our Free Compliance Packaging Service. 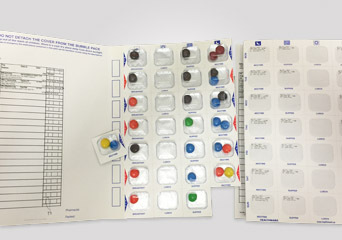 Another way that we can help you manage your medications free of charge. Click to learn more. 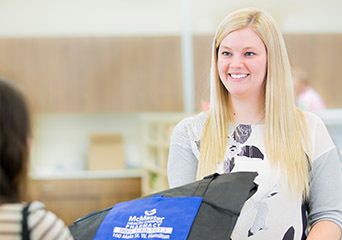 Pharmacists do more than fill prescriptions – they are experts on thousands of medications and make decisions that help maximize a patient’s drug therapy. Our pharmacist will work with you to make sure that you and your loved ones are at ease and have a complete understanding of their medications. Call us to refill your prescription or refill your prescription online and we will deliver it to your work or home at no charge. 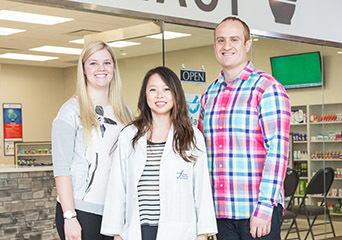 From the moment you enter our pharmacy, you'll be greeted by helpful, friendly people whose goal is to provide the highest level of service and to delight you as a client. We're dedicated to exceeding standards, and constantly on the lookout for new and better ways to assist you and add value to the products and services we offer. Click and meet the team!